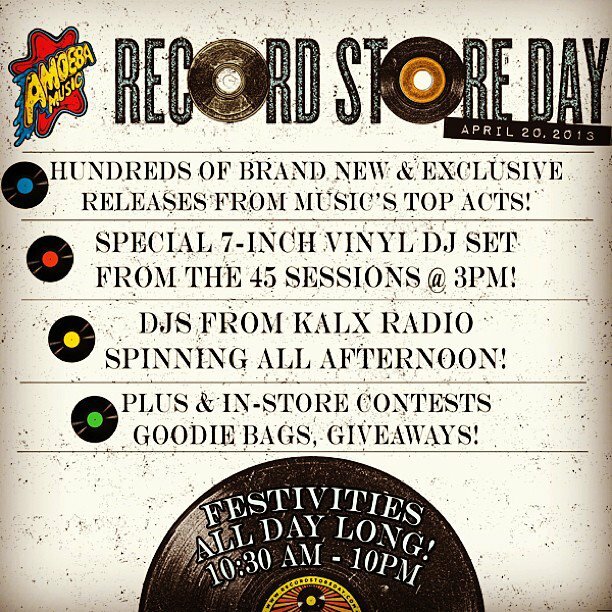 45 Sessions in-store this saturday (4.20) for Record Store Day 2013! The Sessions crew will be in full effect this saturday (4.20) at Amoeba Music in Berkeley for Record Store Day 2013! We’re on from 3:00-4:30. All 45s, free giveaways, and around the block madness guaranteed to ensue! Get full info here.